Figures are great, but once they are presented Visually you can then start to view trends, compare sales, instore issues, stock or merchandising errors instantly. BYOD - View retail audit dashboards on any smart device, in any browser, wherever you are located. Pinpoint issues and take action on in-store retail issues immediately. 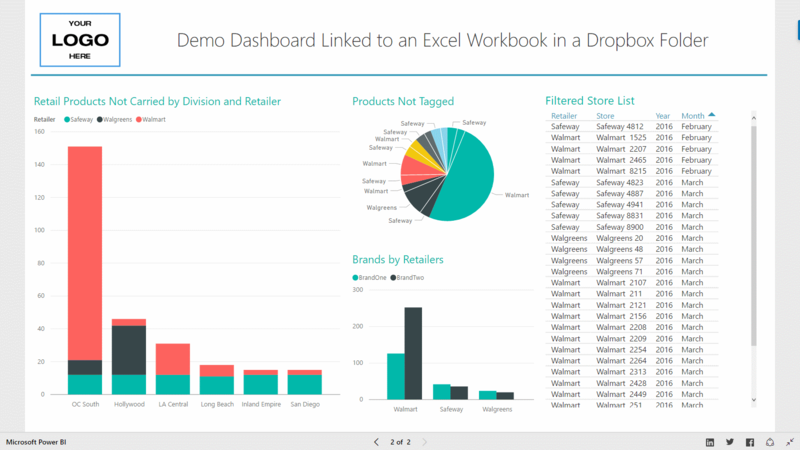 Whatever data you collect in-store or in your Excel spreadsheet that you want to report on, it can instantly be transformed into these stunning dashboards. Make sense of your cumbersome spreadsheet data, make better decisions, quicker. Gain actionable insights from data that your merchandisers record including photos and location tracking. Click the image below to view a sample Retail Audit Dashboard. Don't let someone else own your Retail Auditing System plus the IP - It's a Valuable Asset that should belong to you !